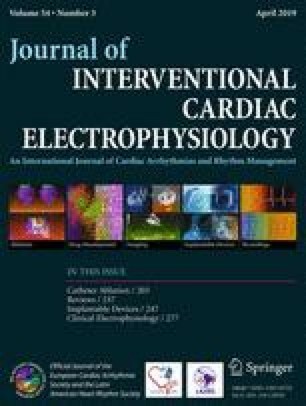 Background: Radiofrequency ablation of the “slow pathway” in atrioventricular nodal reentrant tachycardia (AVNRT) relies on tachycardia non-inducibility after ablation as success criterion. However, AVNRT is frequently non-inducible at baseline. Thus, autonomic enhancement using either atropine or isoproterenol is frequently used for arrhythmia induction before ablation. Methods: 80 patients (57 women, 23 men, age 50±14 years) undergoing slow pathway ablation for recurrent AVNRT were randomized to receive either 0.01mg/kg atropine or 0.5-1.0μg/kg/min isoproterenol before ablation after baseline assessment of AV conduction. The effects of either drug on ante- and retrograde conduction was assessed by measuring sinus cycle length, PR and AH interval, antegrade and retrograde Wenckebach cycle length (WBCL), antegrade effective refractory period (ERP) of slow and fast pathway and maximal stimulus-to-H interval during slow and fast pathway conduction. Results: Inducibility of AVNRT at baseline was not different between patients randomized to atropine (73%) and isoproterenol (58%) but was reduced after atropine (45%) compared to isoproterenol (93%, P<0.001). Of the 28 patients non-inducible at baseline isoproterenol rendered AVNRT inducible in 21, atropine in 4 patients. Dual AV nodal pathway physiology was present in 88% before and 50% after atropine compared to 83% before and 73% after isoproterenol. Whereas both drugs exerted similar effects on ante- and retrograde fast pathway conduction maximal SH interval during slow pathway conduction was significantly shorter after isoproterenol (300±48ms vs. 374±113ms, P=0.012). Conclusion: Isoproterenol yields higher AVNRT inducibility than atropine in patients non-inducible at baseline. This may be caused by a more pronounced effect on antegrade slow pathway conduction.